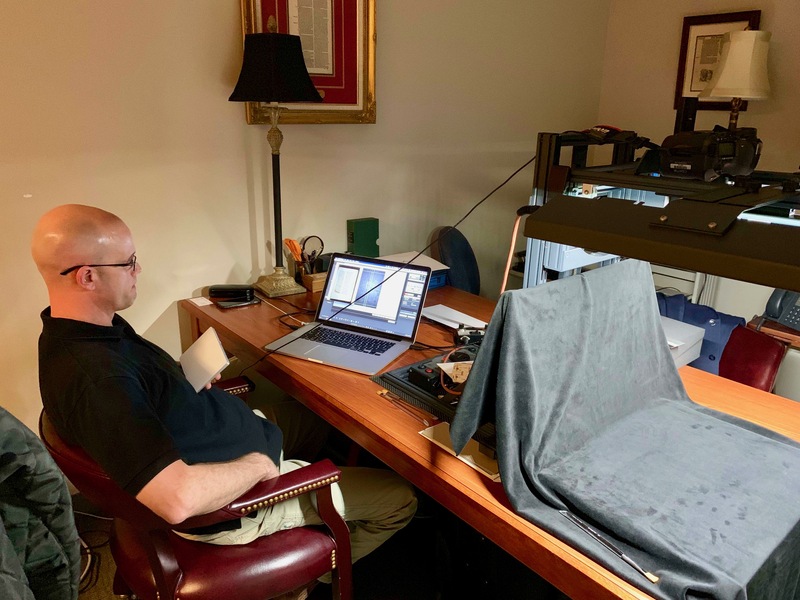 In February, CSNTM traveled south 250 miles to Houston Baptist University’s Dunham Bible Museum (Houston, TX) in order to digitally preserve their three Greek New Testament manuscripts. Gregory Aland (GA) 2878 is a one-leaf twelfth century minuscule manuscript written on parchment and contains Luke 23:7–25. GA Lectionary 2434 (14th–15th century) contains portions of the Gospels of Matthew, Luke, and John within its four leaves. It, like GA 2878, was written on parchment. The newest treasure of Dunham Bible Museum’s collection is an uncatalogued Greek New Testament manuscript—currently under official review by the Institute for New Testament Textual Research in Münster. 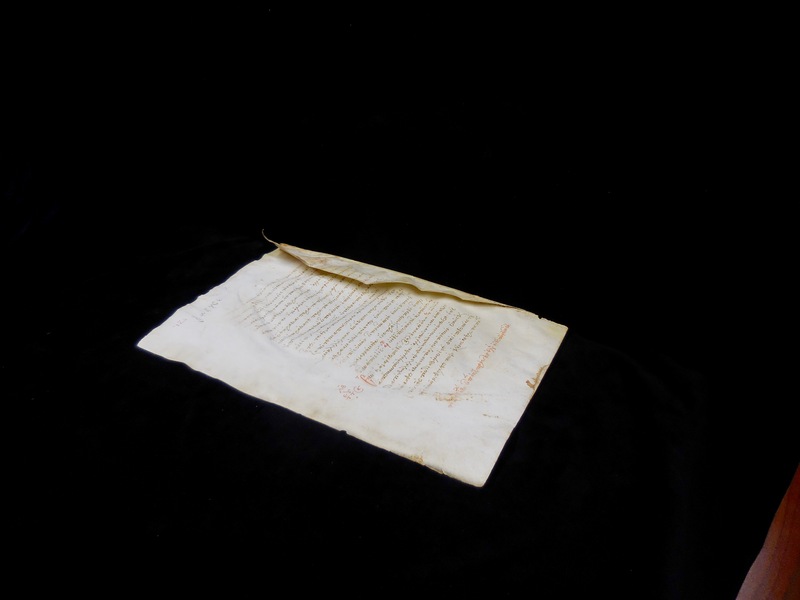 Preliminarily dated by CSNTM’s Jacob W. Peterson to be from approximately the twelfth century, its seven leaves contain portions of the Gospel of John. A portion of the pages look to have possibly suffered from a little water damage at some point in the manuscript’s history. Thus, we also photographed this manuscript under ultraviolet light to bring out some of the more difficult-to-read text. Might this be a manuscript that could benefit from the Center’s recently acquired MSI equipment? Further research will provide insight into that question. Nonetheless, it was a great privilege to be able to preserve this manuscript with high resolution digital images. The Center's images from this expedition will be available online soon in the manuscripts library. CSNTM would like to extend its heartfelt gratitude to Dunham Bible Museum and Houston Baptist University. Their staff was professional and accommodating, making our task effortless. We especially want to thank Dr. Diana Severance for her availability during the project. And thanks to Dr. Phillip Marshal, Assistant Professor of Theology, School of Christian Thought, Department of Classics and Biblical Languages, for stopping in to extend a welcome. It is with great pride that CSNTM has preserved this fine collection. Now, every Greek New Testament Manuscript in Texas has been digitized.